Did you know Aptos had a community garden? It’s tucked away toward the very end of Soquel Drive, south of the Freedom Boulevard exit. It’s on the property of the Christ Lutheran Church of Aptos. 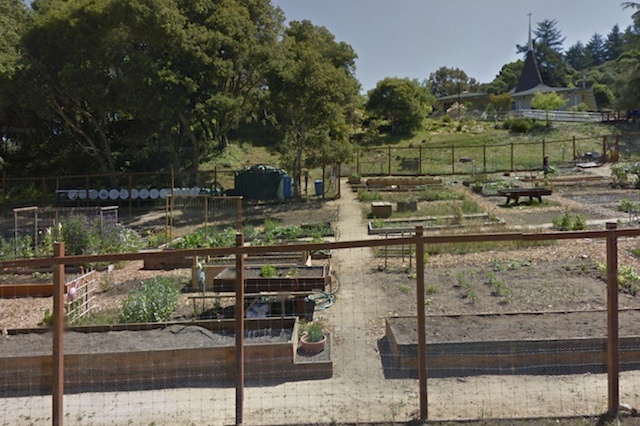 The mission of the Aptos Community Garden is to be a place for folks with limited access to land to grow food and other plans using organic methods, with the aim of supporting the well-being of all people, animals, and mother Earth. If you’re interested in gardening but lack the space to do it at or near your home, check out the Aptos Community Garden. They limit you to one plot per family, and again, all gardening must be done using organic methods. All those who participate int the community garden must agree to do at least one hour per month of maintenance on the communal area of their garden zone – or pay a $120 maintenance mitigation fee. Gardeners must bring their own tools and equipment, and nothing can be left on site once the gardener leaves.